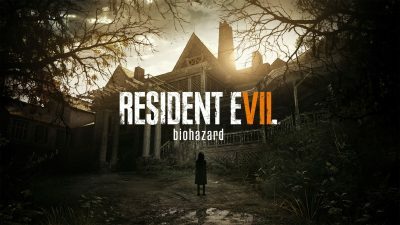 (02.28.2017) By Liv Minshall — Capcom’s Resident Evil horror game series has taken many turns throughout its history, but Resident Evil 7: Biohazard is one of the biggest risks that the company has taken in a long time. Biohazard has taken the series’ long developed formula and completely flipped it upside down, shifting the genre from third-person shooter to first-person survival-horror. In the game you play as Ethan Winters, a less-than-memorable protagonist in search of his wife, who was previously presumed dead. Upon arrival to Delvey, Louisiana, you quickly find that things aren’t what they seem. Winters is a major aspect of the absolutely terrifying aura of gameplay, because you don’t play as a military officer or someone trained in combat. Yyou are just a regular guy. A huge portion of the gameplay is devoted to exploring the Baker residence. The exploration is a necessity, as you will not find items or ammo unless your search is thorough. Personally, I felt that knowing all the nooks & crannies of the household helped during fights. The combat is smooth, and every weapon feels substantially different yet satisfying to use. The first-person perspective is something new to the series, but adds to the immersion, especially when hooked up to virtual reality, which adds the creepy feeling that something may ambush you at any moment. You don’t need to know Resident Evil’s 20 years of lore to jump right into this game, which can be both a positive and a negative aspect for players. New fans can find the game easily accessible, but longtime fans may find themselves questioning its relevance early on. I won’t spoil it, but the plot and bigger picture does come to a satisfying conclusion. If you’re up for a scary time and a relatively short play-through with serious plot twists, then this is the game for you. The game is available on PS4 and Xbox One for $59.99. Create a new blog and join in the fun!